Animal lovers around the world, rejoice! Today is World Rhino Day. On September 22, the world celebrates all five species of rhinoceros, including the black rhino, white rhino, greater one-horned (Indian) rhino, Sumatran rhino and Javan rhino. World Rhino Day was first created by World Wildlife Foundation (WWF) in 2010, and for the past five years, the world has honored the magnificent creatures on this day. The rhinoceros species is native to Africa and Asia, and has been roaming the earth ever since cavemen were around. Today, rhinos are a vulnerable species because of habitat loss, natural disasters, and most gruesomely, poaching. 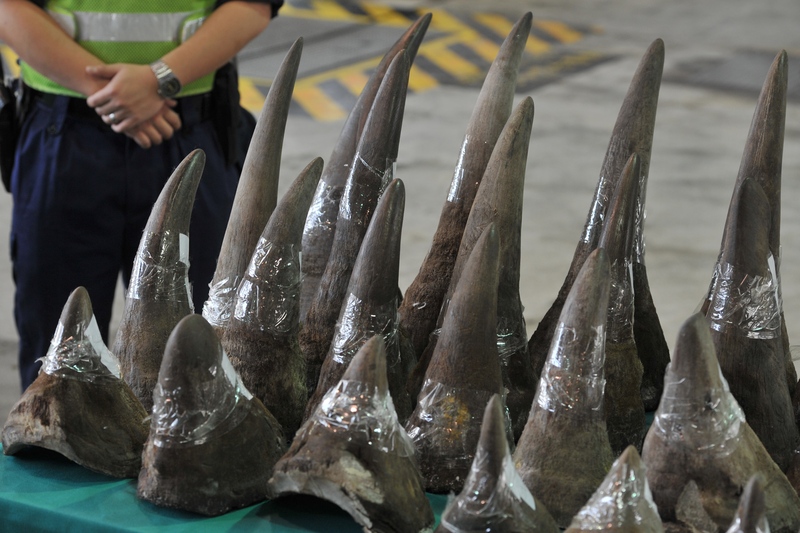 In fact, poachers even go as far as sawing off the rhino's horn, to use in Eastern medicine. With the constant threat to the rhinoceros and wildlife population as a whole, there is so much you can do to get involved, especially today on World Rhino Day. Visit worldrhinoday.org to see how you can get involved. See how the world of Instagram is celebrating the rhino, too!